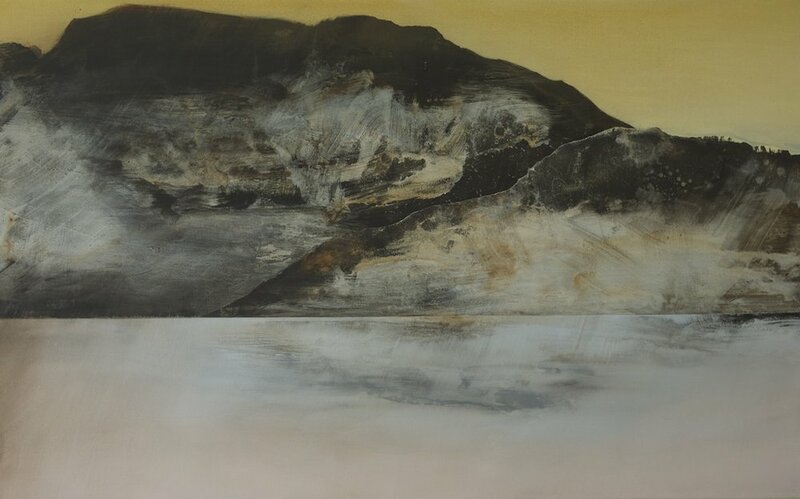 Wyn-Lyn Tan's artistic practice is grounded in painting, and is driven by a fascination with remote natural landscapes and how they connect across time and culture. Trained in traditional Chinese ink painting and Western painting, her work has developed a contemporary visual vocabulary that often straddles between East and West. 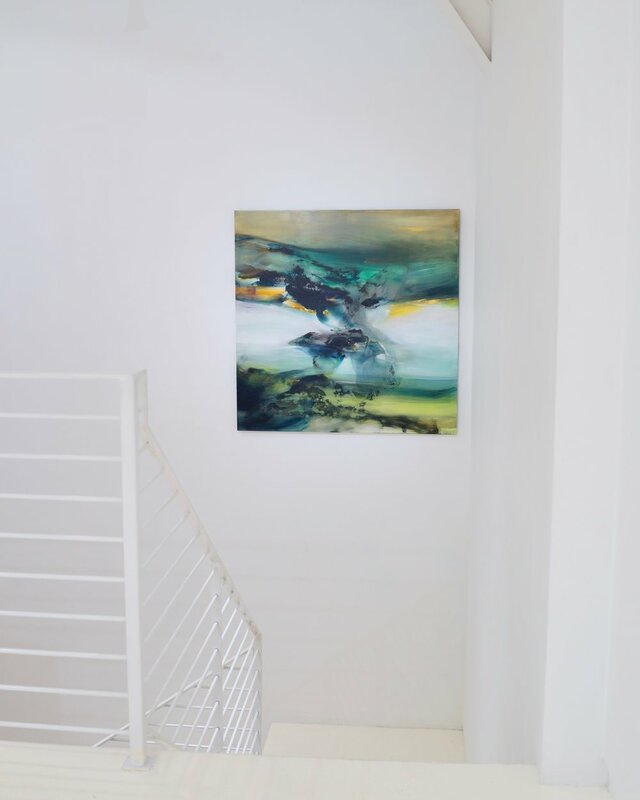 She considers the journey and an immersive experience of a place as a medium, and much of her work has been based on travels to unfamiliar and distant landscapes in the Northern Hemisphere, in a desire to chase the ephemeral. 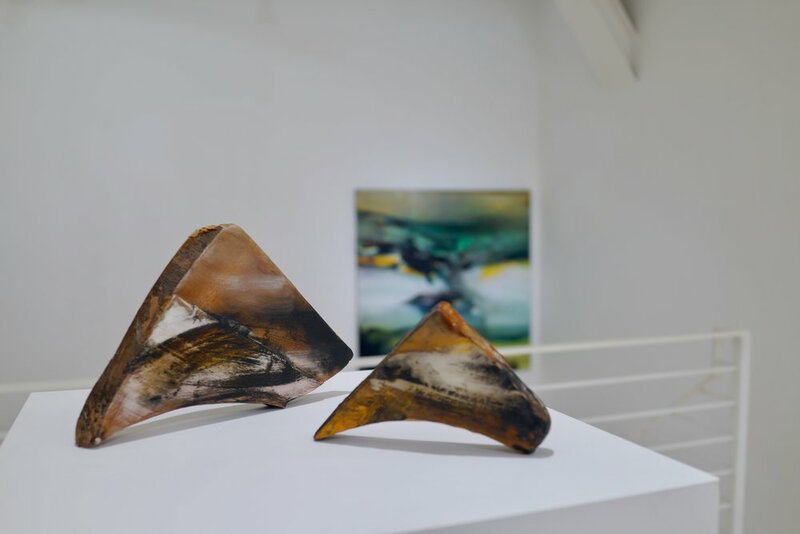 Her affinity with the North ties in with her Chinese sensibilities, as she finds a resonance in the vastness seen in the North, with the elusive concept of emptiness in Chinese landscape paintings. She is also interested in the nature of spaces, both metaphysical and physical, and their evocative power. In recent years, her interdisciplinary approach has included video and installation, often involving material local to the site and context. 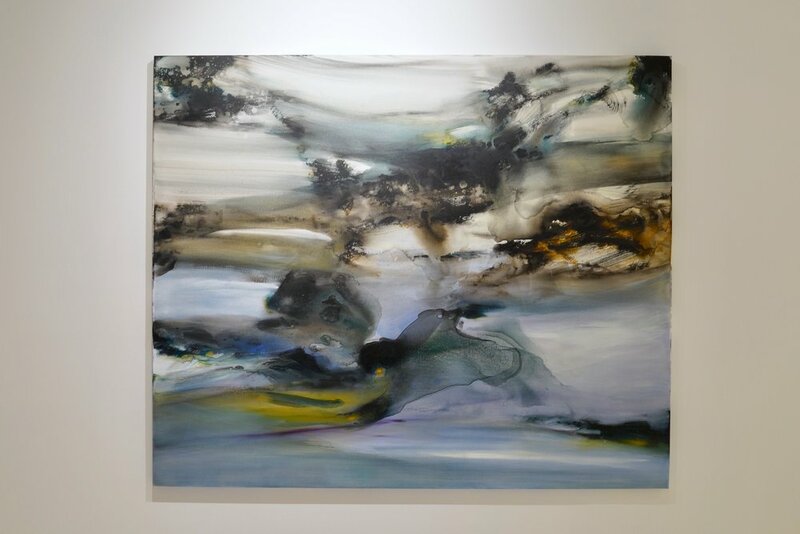 Her abstract paintings, while contemporary in style, seeks inspiration from traditional Shan Sui Hua (山水画) landscape paintings. As in Chinese paintings, the indelible mark of the black inked brush features prominently in her works. 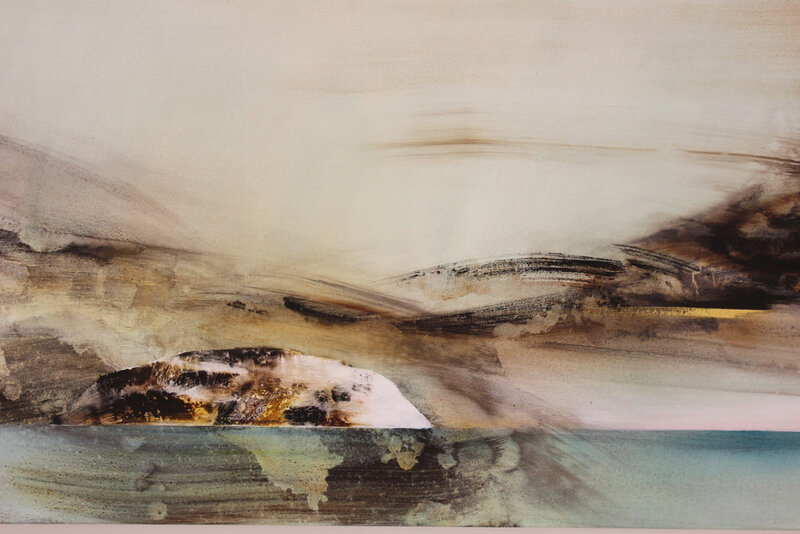 Her paintings hover between nature and abstraction, occasionally slipping into the reminiscence of a Chinese landscape. Beginning with a sum of random mark-making, she works towards a place where things no longer feel arbitrary and the work takes over. What begins as a first mark can eventually be obliterated and washed over with a journey of marks that suggest a constant dialogue between artist and canvas. An extensive use of water in her painting process, also often result in works that recall the alchemy of ink on rice paper. Wyn-Lyn has been the recipient of the Highly Commended Work Award in Abstract Medium at the 22nd UOB Painting of the Year, Singapore (2003), the National Arts Council (NAC) Emerging Artist Grant (2003), NAC Arts Professional Development Grant in Visual Arts (2011), NAC Capability Development Grant (2013), and NAC Market and Audience Development Grant (2017). She has been awarded artist residences with Herhusid Artist Residency, Iceland (2013), and Fiskars Artist Residency, Finland (2007). In 2011, she was one of two Singaporeans to ever take up the The Arctic Circle Residency. She has been exhibited in many solo exhibitions including Lure of the Local, Beates Black Box, Tromso Kunstforening, Norway (2016) and Silence on a Milk Mountain, FOST Gallery, Singapore (2013), as well as group shows including Synchronized, Kunsthalle am Hamburger Platz, Berlin, Germany (2015); Odyssey: Navigating Nameless Seas, Singapore Art Museum (2016); and Art Stage Jakarta, Indonesia (2017). Her works can be found in the permanent collection of the Singapore Art Museum, and have been exhibited in Singapore, Finland, Iceland, and China, including the Inside-Out Art Museum, Beijing.